This Elstead Balance white finish table lamp with polished nickel detail and white drum shade is contemporary and stylish. 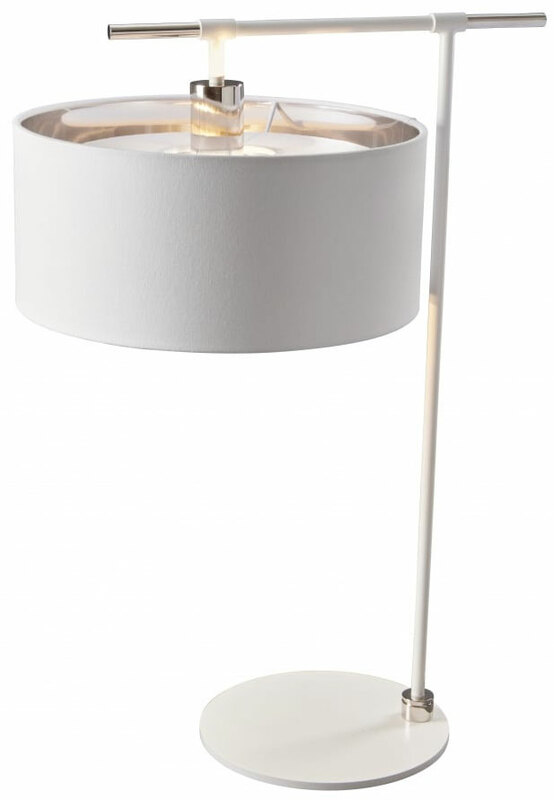 Constructed from steel and finished in white, with polished nickel detail at the base, bar and lamp holder. Featuring a flat circular base, tubular upright and an overhanging top bar supporting a 13″ white fabric drum lamp shade fitted with a top baffle and lined in metallic silver for a bright light. A contemporary design, with a combination of white and polished nickel that add to the retro look, making it suitable for both modern and transitional settings. The silver lined shade ensures that the maximum amount of light is reflected into the room. An ideal living room, dining room or bedroom table lamp. There are matching fittings available in the white and polished nickel Balance lighting range, please see below. 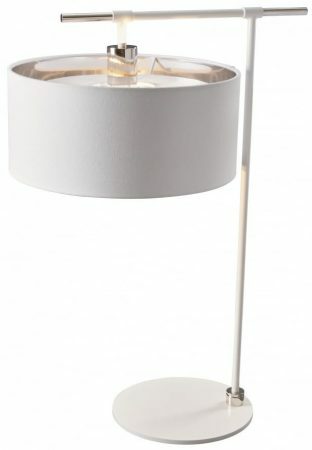 This table light is exclusive to Elstead Lighting, a British company that specialise in the manufacture and distribution of decorative lighting such as the Balance white finish table lamp with polished nickel detail and white drum shade you see here.